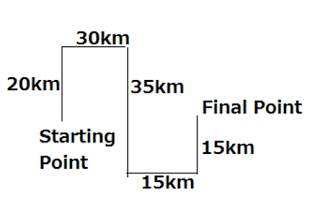 Directions (1-5): In each of the questions given below. Some sentences are given which may or may not be in sequence. Rearrange these sentences so that they make a coherent paragraph and choose the correct sequence as your choice. In question(s) where the first and the last sentence is numbered it means they are fixed and are not needed to be jumbled. D. Mitch walked out of the room – it was his irrevocable protest against an insensible and insensitive situation. Statement (A) should be the first sentence. After the director, the reactions of the managers should follow statement (C) and then the Mitch’s. Q2. A. An essay which appeals chiefly to the intellect is Francis Bacon’s ‘Of Studies’. D. He considers the evils of excess study: laziness affectation, and precocity. Statement (A) is the first sentence. Statements (C) and (D) make a combination (purpose-evil). Q3. A. By reasoning we mean the mental process of drawing an inference front two or more statements or going from the inference to the statements which yield that inference. B. So logical reasoning covers those types of questions which imply drawing an inference from the problems. D. Clearly, for understanding arguments and for drawing the inference correctly it is necessary that we should understand the statements first. Statement (C) stands as the first sentence because the concept of reasoning given in it has been explained in statement (A). So, statements (C) and (A) make a combination. Q4. A. In rejecting the functionalism in positivist organization theory, either wholly or partially, there is often a move towards a political model of organization theory. B. Thus, the analysis would shift to the power resources possessed by different groups in the organization and the way they use these resources in actual power plays to shape the organizational structure. C. At the extreme, in one set of writings, the growth of administrators in the organization is held to be completely unrelated to the work to be done and to be caused totally by the political pursuit of self-interest. D. The political model holds that individual interests are pursued in organizational life through the exercise of power and influence. Statements (A) and (D) make a combination (political model) and they cannot be the last group because the basic theories of this model have been discussed in other sentences. Q5. (i) Making people laugh is tricky. A. At times, the intended humour may simply not come off. B. Making people laugh while trying to sell them something is a tougher challenge, since the commercial can fall flat on two grounds. C. There are many advertisements which do amuse but do no even begin to set the cash tills ringing. D. Again, it is rarely sufficient for an advertiser simply to amuse the target audience in order to reap the sales benefit. (vi) There are indications that in substituting the hard sell for a more entertaining approach, some agencies have rather thrown out the baby with the bath water. Statements (D) and (C) make a combination as statement (C) explains (D) but they cannot come after statement (A). Directions (6-7): Read the following information carefully and answer the questions given below. In a study of the five brands of mobile C, P, A, G and B the brands were tested and ranked against expensiveness. The following results were obtained. (i) P and G were equally expensive. (ii) B was the least expensive brand among them. 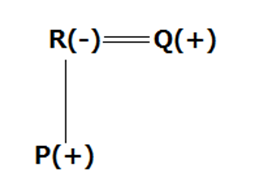 (iii) C was less expensive than P.
(iv) G was less expensive than A. (v) The expensiveness of A was more than that of P.
Q6. If the above statements are true, which of the following must also be true? G was somewhere in the middle when they were set in descending order in terms of expensiveness. Q7. If a sixth brand F is tested and found to be more expensive that A, then which of the following must be true if the findings of the study are correct? Q8. A + B means A is son of B; A – B means A is wife of B; A × B means A is brother of B; A ÷ B means A is mother of B and A = B means A is the sister of B then what does P + R – Q means? Q9. Surubhi walks 20 km north. Then she turns right and walks 30 km. Then she turns right again and walks 35km. Then she turns left and walks 15 km. Then she again turns left and walks 15 km. In which direction and how many km away is she from his original position? Q10. Romil starts walking towards East. 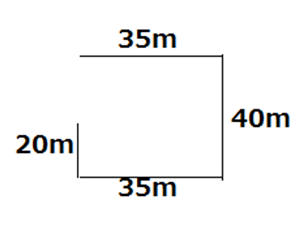 After walking 35 m, he turns to his right and walks another 40 m. He then turns right again and walks another 35 m. Finally, he turns right and walks 20 m. In which direction and how far is he from the starting point? Q14. A can complete 1/4 of a work in 10 days, B can complete 40% of the work in 15 days, C completes 1/3 of the work in 13 days and D 1/6 of work in 7 days. Who will be able to complete work fastest? Q15. Two friends bought 2 different land at a price of 4000 and 6000 respectively. The value of first land increases 25% per year and second land increases at 5% per year. At the end of two year they exchange the land. Find profit % of gainer.